The concept of Pumpkin Pasties always sounded so not good to me. Throughout the 7 Harry Potter books these ‘treats’ are mentioned on multiple occasions and every time I read these 2 magical words, I felt quezy. Well, not really but, just something in the name did not sound appealing to me. I think its the Pasties word. What even is a Pastie after all? I’m sure in the UK this is normal just like meat filled pie is. But to me, and my Americana ways, Pasties are no bueno. The good ladies at Grandma’s Cookie’s should have taken this in mind when naming their Pumpkin Spice cookies. Pumpkin perhaps but these things are pure Pastie quality. 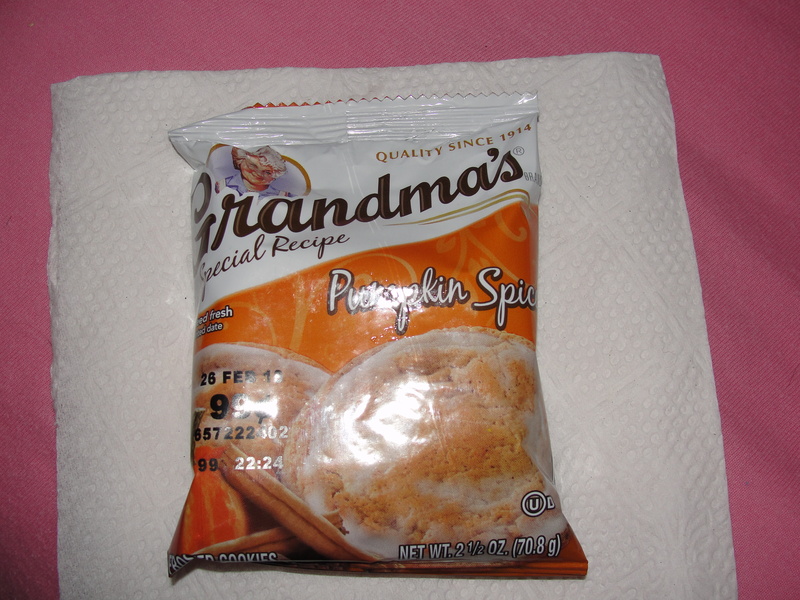 I don’t think I could tell you the last time I had a Grandma’s Cookie prior to these Pumpkin Spice ones. I found these at the gas station and grabbed a package to try. Pumpkin Spice is of course delicious so, why shouldn’t these cookies be. I opened up the package and was not hit in the face with pumpkin smell. This should have been my first indicator of bad news. The smell of pumpkin – a mixture of cinnamon, nutmeg, spices, and warm feelings – is pretty strong and should always be smelt. I removed the first cookie from the package and broke off a piece. Well, kinda broke off a piece. 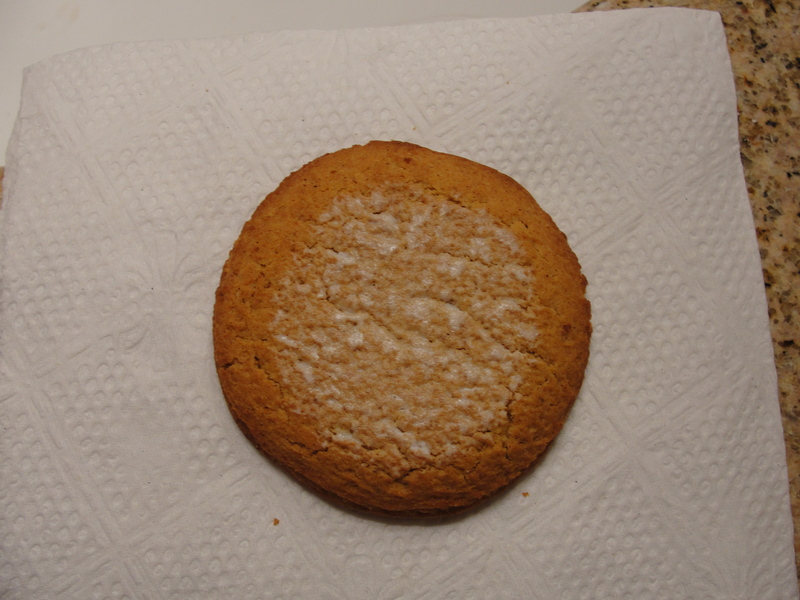 The consistency of the cookie was so odd…so off…so Pastie-esq. I tried the first piece of the cookie and nearly dry-heaved. Like right away. As in, as I was chewing the cookie. First off, the consistency reminded me of Play Doh. It was somewhat chewy but somewhat stale like all at the same time. Chewing the cookie alone was reason enough to puke. Then, came the flavor. Or, lack there of. If I was blindfolded, I wouldn’t have been able to guess in a 100 years what flavor this cookie was. It tasted like stale garbage. Oh my gosh. You really don’t understand just how bad this cookie was. 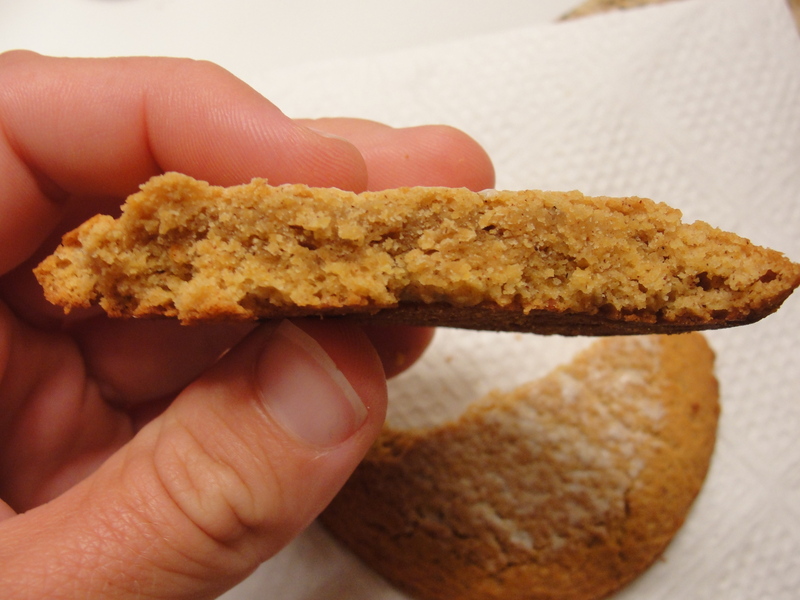 I was only able to manage 3 bites of this cookie – the third being spit out mid chew – before I had to give up on these cookies. I think that Grandma’s Pumpkin Spice Cookie’s complete the image, taste, smell, consistency for me as to what a Pumpkin Pastie really is. Absolutely horrible. So bad. Like bad enough I should have gotten my money back. Even just thinking about these cookies after the fact, leave my taste buds running for cover. I have no desire to ever, ever, ever have any type of Grandma’s Cookie’s ever again which, is really quite too bad, since we share a name. Please, if you happen to run into these cookies and the idea runs through your mind to purchase them, swat it with a fly swatter. Unless you want to find out what a Pumpkin Pastie really is…steer clear. But they look good! LOL. Don’t do it! Don’t go to the Dark Side over pure looks!